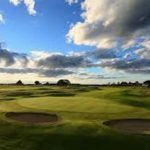 Otago was pipped at the post by a strong Wellington sextet in the final of the junior interprovincial tournament which was played on the Cambridge course in Waikato yesterday. Otago had won all five section plays but was not in the hunt in the final, eventually going down by a 1 to 5 margin to the capital city golfers. 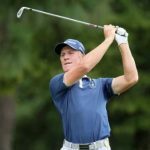 The only Otago golfer to win was No3 Callum Judkins who capped off a successful week with six wins from as many outings. But the remaining players trailed early and failed to make up the deficit on the back nine. Wellington took the title on its second year since returning to the event last year after an absence of several years. 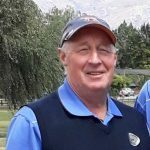 Wellington coach and manager Alastair Sidford, the professional at the Hutt course, is an old boy of Otago Boys’ High School and has put a lot of time into developing juniors in the Wellington area. Otago’s coach Mahal Pearce was full of praise for his team, saying there was a great team ethos and he could not ask any more of the players. In particular, the top trio stood out, with Judkins claiming six wins while No1 Jack Turner and No2 Hayden Robertson finished the week with four wins and a half each. The juniors will now return to the trial events, where several of the players must be considered for senior teams to be announced in the coming weeks.